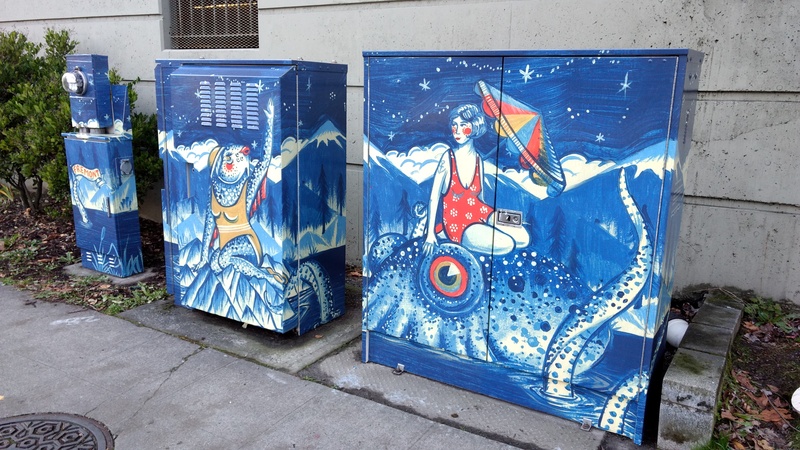 Thanks to efforts by Bruce Grewell and neighbors, a grant from the City and support from the Fremont Neighborhood Council, there’s new art on the formerly grey utility boxes at the very busy corner of N 39th and Fremont Avenue North. Thanks, Bruce et al. !